With the marijuana industry creating numerous, exciting job opportunities for the cannabis inclined, a desire for job training and certification courses in the marijuana industry has been made evident. As sites like THC University continue to garner consistent followers, the question remains: Are marijuana job training programs really worth it? As the legal, recreational marijuana industry develops, it has become clear how few individuals have experience in cannabis-related jobs. Those who do have experience often were part of the illegal marijuana industry before medical/recreationally legalization efforts had taken hold. There are a number of things to consider when looking into cannabis job training programs. Let me start off by saying that there is nothing inherently wrong or misleading about marijuana job training programs. The problem that arises with programs like this, however, is that there isn’t a regulatory board standardizing educational resources. 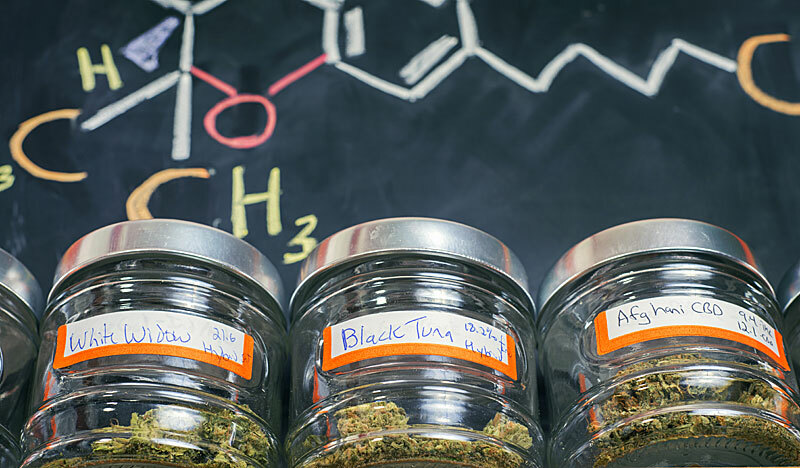 Essentially, there are no exact guidelines for what makes a qualified budtender, trimmer, etc. For this reason, it pays to get organized in your search for the best educational programs out there. Below are some Do’s and Don’ts for starting your research. View Course Descriptions! Make sure you know how the classes are set up. Are they online courses, traditional classroom setups or workshop based courses? Basically: where are you when you’re taking the course? How long is it? And who is teaching it? The answers to these questions should strongly influence how much you pay for the course. Naturally, most of the courses you will come across are ticketed anywhere from around thirty dollars to over a grand. The main thing is to make sure that you’re getting what you pay for. For courses in cultivation that include demos, visiting grow operations and possibly even hands-on interaction with plants, it makes sense to pay more than an online instructional video. On the other hand, there are some classes out there that make big promises about program efficacy, but have no credibility or testimonials to back up their claims. Human experience is a major asset in determining a training program’s efficacy. If you can, talk to individuals who have taken advantage of training programs by visiting some of the many weed forums out there. If you have friends already working in the marijuana industry, ask them if they’ve ever taken a certification class. Why or why not? The more anecdotal data you can acquire will realistically give you a better idea of what makes sense for you financially to prepare you for working in the cannabusiness. Let’s say you find a marijuana job training program that fits within the parameters of what you’re looking for: the price is reasonable, the teachers: credible, the course: informative. You might even find yourself with a shiny new certificate indicating your new level of experience in the marijuana industry. Even with all this in your pocket, there is no guarantee that you will now easily find a job. There is no shortage of interest in marijuana jobs judging by the stiff competition I see vying for virtually every budtending position I come across. While it will definitely help to have improved experience working with weed, you will still be tasked with competing against other well-qualified candidates. Ultimately, there is no right or wrong answer for choosing marijuana job training programs, as long as you are happy with the result. The only way to really find out if a service is right for you is to sign up! As the industry opens up for further development, it’s possible that a standard for education services will appear, though there is no guarantee. Regardless, it’s always going to be an asset to gain industry skills, so take advantage of what’s out there. Just keep in mind that working as a budtender or dispensary receptionist pays similarly to that of a barista or bartender, so it might not make sense to spend a ton of money on a course, only to get a job that pays ten dollars per hour.